Most people join and stay in UNISON to get the best representation and support at work when they need it. But UNISON members also receive superb membership benefits - you could save the cost of your subscription many times over. New Offer from Union Income Benefit! Unison represents nearly 1.3 million employees across Britain, making us the biggest trade union in the Public Sector. We only recruit people who work to provide services to the public - so our size and our specialisation mean that we offer strong, professional and effective protection to all our members. UNISON's trained representatives provide free support and advice on any problems you might have at work. UNISON provides professional negotiators to sort out pay and terms and conditions of employment both nationally and locally. UNISON membership brings free legal representation for accidents at work and while travelling to and from work, and free representation on other employment related issues. 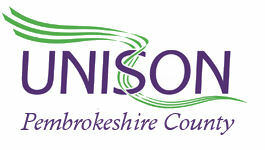 UNISON also offers free legal advice for domestic and other problems. UNISON's trained health and safety representatives provide free services to make your workplace safe to be in. UNISON pays benefits to members, including accident and death benefits. UNISON looks after you. We provide convalescent facilities at reduced rates, offer financial assistance to members suffering unforeseen hardship, and give free advice on state and welfare benefits. UNISON provides a wide range of competitive financial services. These include reduced mortgages, home, car and holiday insurance, road rescue, personal loans, credit cards and financial planning advice. UNISON offers you a range of education and training courses. These include courses leading to professional qualifications, GCSE's and vocational qualifications. UNISON offers great breakaway holidays through our travel club, as well as our own family holiday centre in Devon. For a comprehensive list of the superb offers available please visit the national UNISON website.